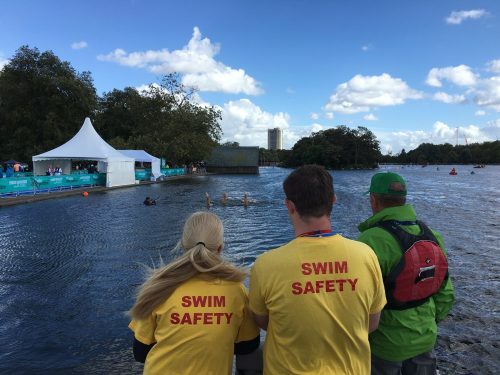 Swim Serpentine, London’s newest & biggest open water swimming event is returning to Hyde Park on Saturday 22nd September, and we’re currently recruiting the last few safety kayakers & lifeguards to join our water safety team for the event. We’re recruiting a team of 60 safety kayakers and 16 lifeguards to support the event. The role of the safety kayaker is to supervise the participants as they complete the 1 mile open water swim course, in the Serpentine whilst lifeguards supervise them warming up, entering and exiting the water.